with puff pastry, whipped cream, cranberry sauce, and chocolate drizzled. Can you believe Christmas is almost here? To end my ‘easy Christmas recipes’ series of this year, I’m sharing a quick and easy recipe idea for dessert. 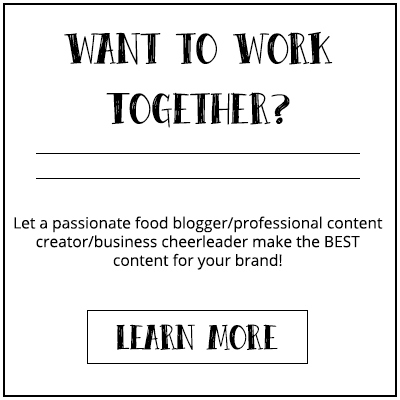 This Profiteroles Wreath recipe isn’t even a legit recipe. It’s more an assembly of store-bought ingredients with a Christmas touch. The ultimate Christmas dessert for anyone who either can’t cook or just lost energy for the last dish. I’m not a dessert type of people. Heck, just search for dessert here and see how many results you get. My efforts go into the appetizer and the main dish. When it comes time to the dessert I already lost all my creativity, money, and energy. Plus, people are way too stuffed to care about dessert, in my honest opinion. Nonetheless, a proper Christmas dinner needs a good closure. 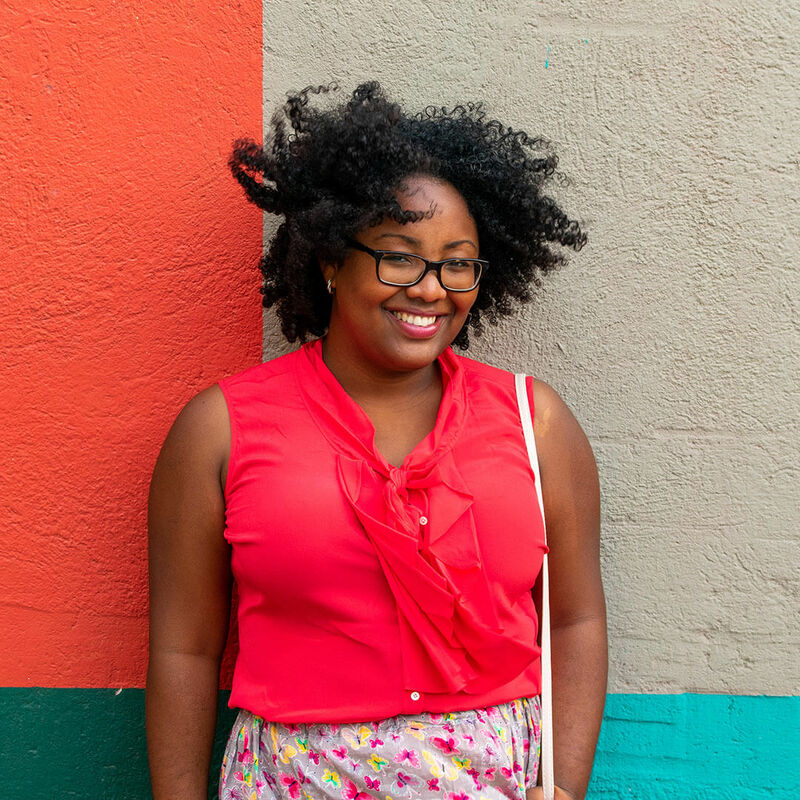 Something that is light—after all the food people devour—and preferably something you can create beforehand. 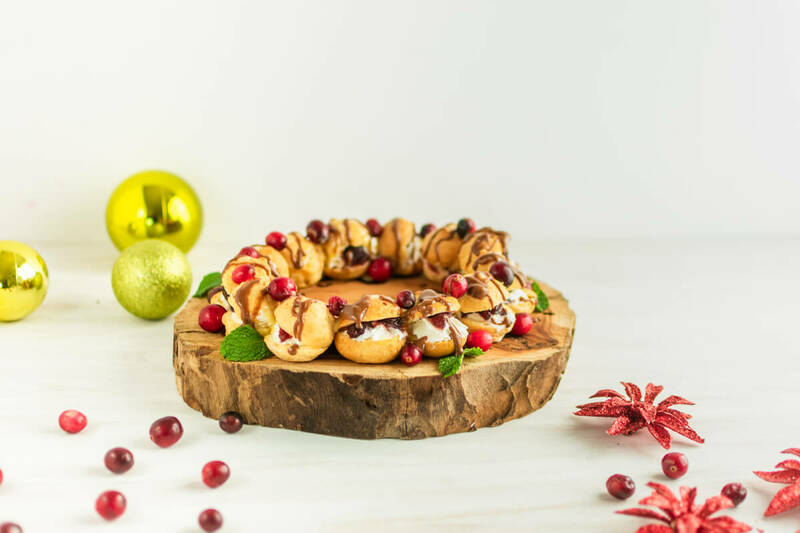 I don’t know where I got this idea to make this Profiteroles Wreath, but I found it to be such a smart idea for Christmas dessert. 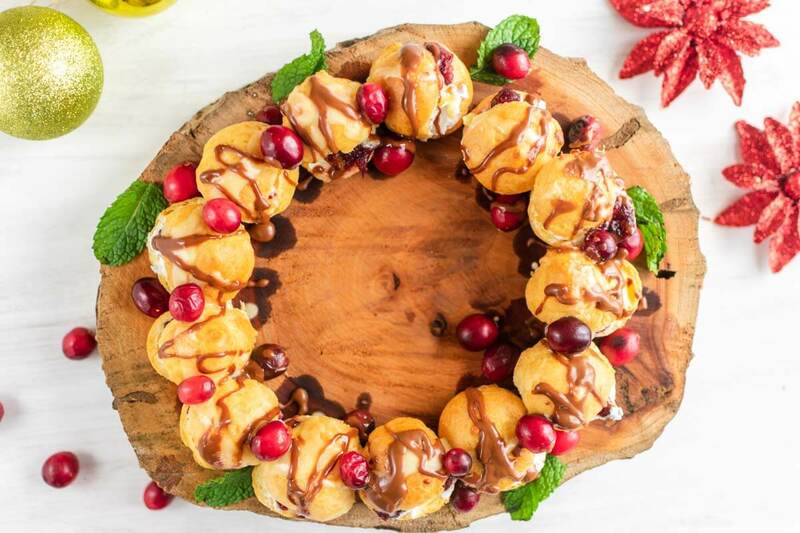 I love the festive look of the Profiteroles Wreath. I placed it on a wooden board, but you can also place it one a cake-stand or a large serving tray. 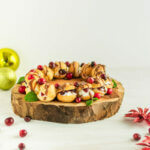 I styled the dessert with a few Christmas decorations and ingredients that give a Christmas feel to it. 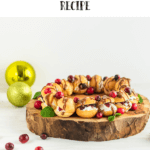 The profiteroles wreath recipe is delicious Christmas dessert with cranberry sauce and chocolate. Made out of store-bought ingredients it's very easy to prepare. Cut open the profiteroles. Add a dollop of whipped cream and a little bit of cranberry sauce (tip of a teaspoon). Place the profiteroles next to each other on your serving tray to form a circle. 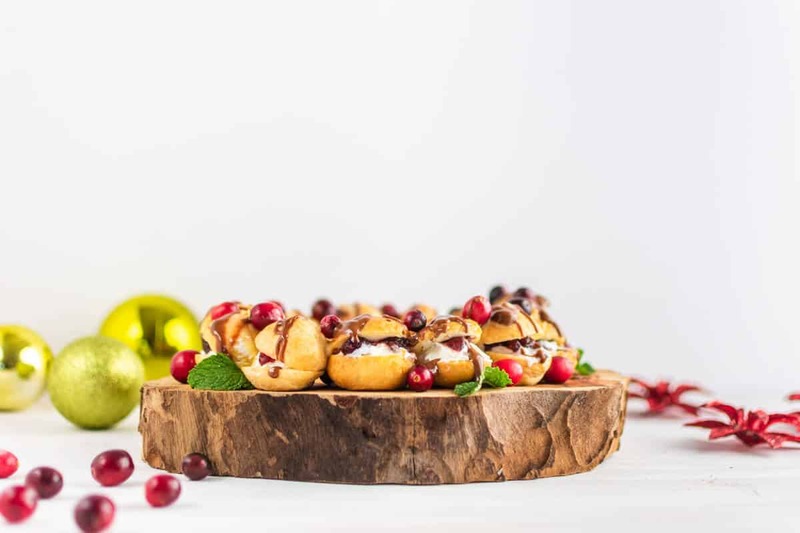 Drizzle both the chocolate on top and add some cranberries in between the profiteroles. Add some mint leaves to the side and serve. To melt the chocolate, you can either use/make a double boiler or use your microwave. For the double boiler, boil a bit of water in a pan. Place a glass or aluminum bowl on top of the boiling water, leaving at least an inch of space between the water and the bowl. Break the chocolate into pieces and add it to the bowl. Stir the chocolate every so often till it’s fully melted. If you want to use the microwave, break the chocolate into pieces and add it to a glass bowl with a cube of unsalted butter. Heat the chocolate for about 30 seconds, to start with, but always keep an eye on it (every microwave is different). Take it out and stir. If it’s not fully melted yet, pop it in again for another 10-15 seconds more. Take it out and stir again. If the chocolate gets clumpy, add a bit of vegetable oil to make it smooth and shiny.